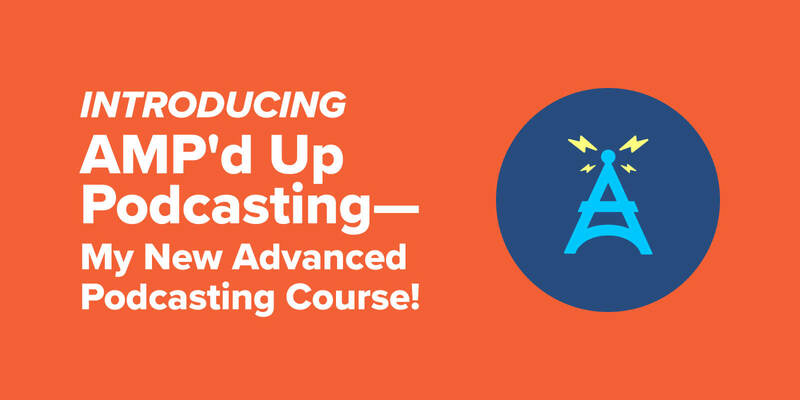 Introducing my brand-new advanced podcasting course: AMP'd Up Podcasting! Too many podcasters are powered up, but falling flat. Don't let that be you and sign up for AMP'd Up Podcasting today. 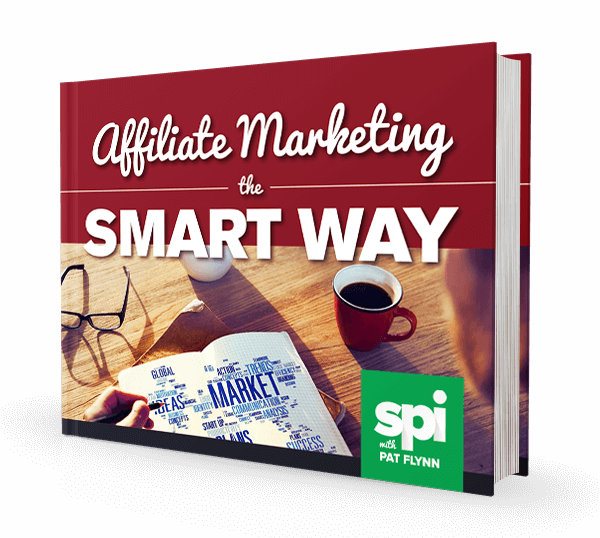 A couple of weeks ago, I shared some stories of SPI audience members who had taken my Power-Up Podcasting course and used what they learned to not just build a better podcast, but to use that podcast to grow and improve their business. It’s awesome to see how so many podcasters are doing life-changing things with their show, and taking their businesses to heights they probably never imagined! As much as ever, I’m a big believer in the power of podcasting. But there’s a sad lining to this story, and that’s what I want to talk about today. At the same time that many podcasters are scaling new heights in their businesses and lives thanks to their podcasts, an even larger number of podcasters aren’t managing to achieve that kind of success. In fact, for many podcasters their reality is quite the opposite: a lot of these folks find that podcasting is a drag, that they’re treading water, barely managing to publish episodes on schedule and not seeing the kind of response or monetary return they wanted. A number of people who already had a podcast started asking me if Power-Up Podcasting was right for them . . . which it’s not. PuP is really for those who are just starting out, who need step-by-step guidance on the tools and tactics they need to get their podcast off the ground. But other folks were asking me for more advanced strategies to turn their podcast into a real business, to get more downloads . . . and I didn’t have anywhere to send them. Many of my existing PuP students had “graduated” and were ready for the next step, but again, I didn’t have anything to offer them. I kept seeing podcasters with so much potential either get so worn out by the process, or just give up entirely, because they put so much hard work into the production of their show, but without that crucial marketing and business knowledge to bring to it, they weren’t getting the return they were looking for. I didn’t want to sit by and watch podcasters take breaks from making their shows—or worse, kill them completely. I wasn’t about to let this trend continue without doing something about it. If you’re a podcaster, I want you to be able to get out what you put in—and much, much more. Seeing how many people were struggling to escape their podcasting plateau guided me to a logical next step . . .
Podcasting—consistent podcasting—takes time and energy. As a podcaster myself, I get how much of a grind it can be to continue with your podcast once you’re in a rhythm but you’re not seeing a big payoff yet in terms of listeners or income. I get it. It’s hard to continually produce episodes for the same people over and over again without any significant growth, and especially when there are no dollars coming in. That’s where Amp’d Up Podcasting comes in. Amp’d Up Podcasting was created with that kind of podcaster in mind, someone whose show has been up for at least a few months, is getting some downloads, or someone whose show has been going for a while and is even making a bit of money, perhaps through ads or affiliate marketing, but really wants to take their podcast to a better place. This is also for people who have a podcast but aren’t enjoying it as much as they could—not just because it’s not growing or making any money, but because it’s getting harder and harder to keep up. I created Amp’d Up Podcasting to help committed podcasters avoid burnout, discover smarter ways to work, and incorporate authentic monetization strategies to transform their podcast promising podcast into a sustainable and profitable one. So why the name, Amp’d Up Podcasting? Beyond the idea of amping up (“increasing the power or force of”) what you’re doing with your podcast, the name of this course also hints at the specific steps and strategies it’ll teach you to help you make your podcast less of a grind and more of a results generator. Automate: Take yourself out of the podcast production equation so that you can get time back and begin marketing and building a business with your podcast. Market: Grow your subscribership—and no, we’re not talking about just posting your podcasts on social media. I’ll show you how to unlock new strategies to grow your show even faster and reach wider audiences that still fit your target subscriber and market. Profit: Make use of your podcast to actually generate some income, to get people from your podcast and into a real funnel that will lead to sales. And no, we’re not talking about advertisements. Amp’d Up Podcasting is aimed at helping you break the ceiling you’re hitting with your podcast and massively expand the potential of your show to directly drive more business success. If you’ve been podcasting for a little while and are hitting that ceiling, what you need is a proven plan to help you structure and streamline your podcast production, elevate the quality of your show, and incorporate ways to make money that are consistent with your brand and values. Amp’d Up Podcasting gives you that plan and tells you how to execute it. On the other end, this means you’ll get more back for yourself. More time to record quality content and to build relationships, and more energy to put into marketing and monetizing your podcast. And as you’re learning, you’ll be supported by me and my team, as well as by your peers in the exclusive Amp’d Up Podcasting community. Amp’d Up Podcasting was available as a pre-sell for a beta group last November, and they got a chance to dig into the course earlier this year and test the heck out of it. The beta testers gave me a ton of great feedback on the course, and Team SPI has worked their magic to make sure Amp’d Up Podcasting gives podcasters a learning experience they’ll love—and helps them achieve the podcasting results they’re looking for. If you’re a podcaster who’s got the basics down but you’re hitting the ceiling (or the wall, or the floor—any other hard surface) with your show, then I encourage you to check out Amp’d Up Podcasting. This course will give you everything you need to make your existing show the best it can be, and help you come up with a system so you can keep it going for the long haul. And isn’t that why you got into podcasting in the first place?